Focused on adults seeking an exciting new career direction, this workshop series will initiate your journey towards advanced learning in the field of 3D Animation + Visual Effects. You will come away with entry-level job skills and insight into the industry. 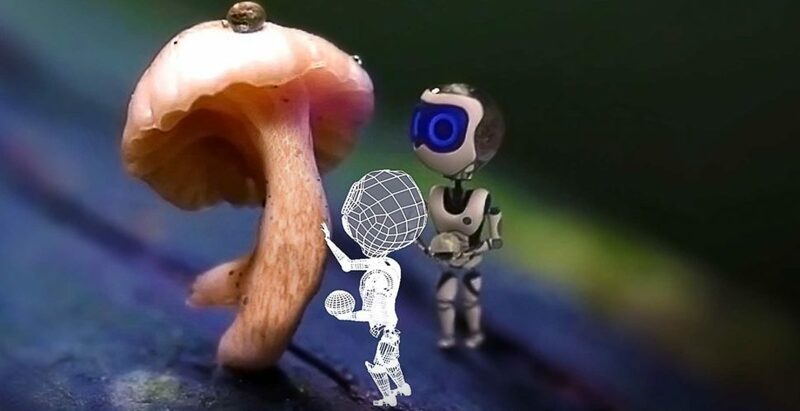 Roto-scoping is an essential compositing technique used by VFX artists for film and television. VFX artists layer CG objects, images and characters into digital footage to produce stunning effects and seamless illusions. Guided by a VFS industry instructor, in this 2-day workshop you will roto-scope a live-action character out of a digital image sequence and place that element into another scene. Keying is a powerful compositing technique wherein compositors take objects and characters from moving camera footage and use them in different compositions. In this workshop you will work with green screen camera footage to pull a clean “matte” using keying tools in industry standard compositing software. Guided by a VFS industry instructor, you will bring together keyed elements and still images to create a composite result. Explore the art and science of 2D tracking, a powerful compositing technique that is used in post-production for film and TV, as well as for commercial and corporate projects. Led by a VFS industry instructor you will track painted and found elements seamlessly into moving image sequences layering them in to augment the scene. Learn how the pros make future-looking computer displays in sci-fi movies, how text floats in complex title sequences, and how CG elements can be added to actors, props, and scenery. Explore 3D Animation in this intro workshop for adults who are seeking new career opportunities in BC’s booming creative economy. Learn how to represent forces including weight and gravity, and create the illusion of character motion over time in Maya–industry standard animation software. In this introductory course you will explore 3D modeling with an industry expert instructor, learning to model simple organic and hard-surface objects, situating and lighting them in simple 3D micro environment using Maya, industry standard modelling software. Visit the website for registration details!